The holidays are hell on the waistline. It’s never too early to start thinking about how you’ll clean up your diet — and get your beach body back — in 2017. These five adventurous foods make healthy eating more convenient. Fill up on the good stuff to keep those junk food cravings away. Step aside, kale. 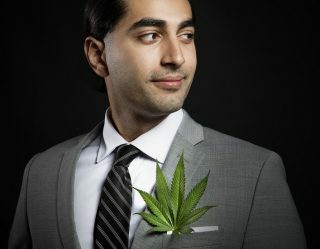 There’s a new green health food in town. It’s seaweed. 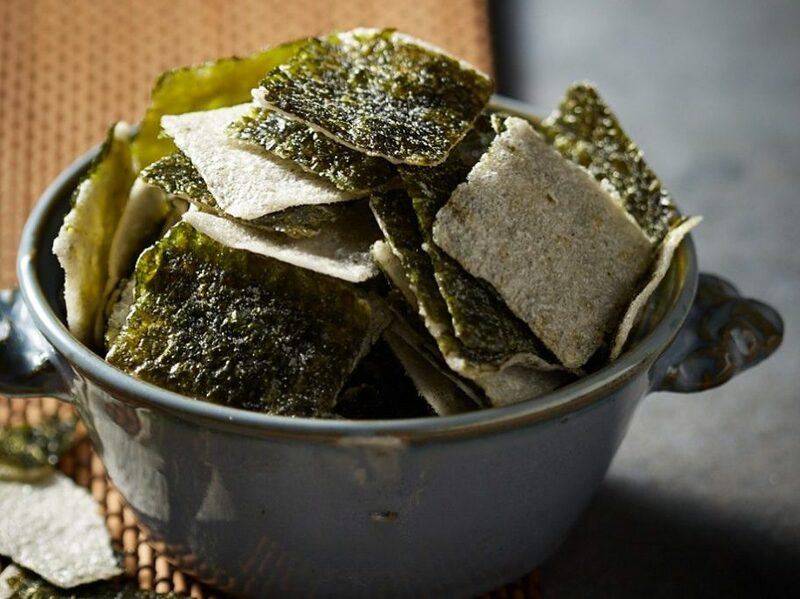 One sheet of Nori seaweed supplies 70% of the daily recommended intake of iodine (essential for thyroid hormone production) and contains a mere 30 calories. With no fat, no carbs, more calcium than broccoli, and almost as much protein as beans, this “marine veggie” just might be one of the healthiest snacking foods. Yes, we said “snacking”, because Annie Chun’s, a Pan-Asian convenience food company, has created a line of organic seaweed snacks and crisps that might make you rethink your kale chip purchase. Flavors of the deep green snacks include sesame, wasabi, cracked pepper with herbs, and brown sugar with sea salt. Crisps get more exotic with Korean Style BBQ and Gochujang (a spicy Korean condiment) varieties. You’ve done the protein powder smoothies. You’ve juiced. But have you ever tried protein juice? 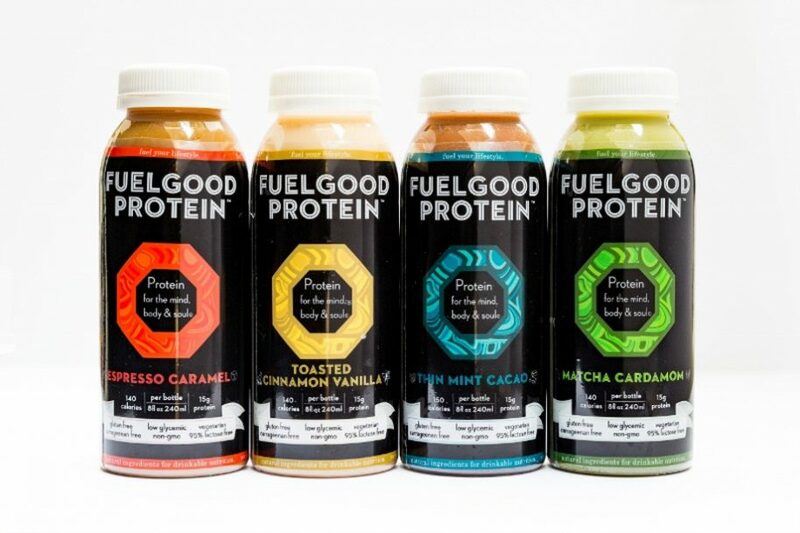 FuelGood Protein is the first drink that blends the muscle-building powers of protein with the sweetness of cold-pressed juice in a portable bottle. Goodbye, messy blender experiments and bulky thermoses! Farewell juice fasts that leave you craving something more filling! Each 8-ounce bottle clocks in between 140 and 150 calories, boasts 15 grams of whey protein, and has only 5 grams of fat and 5 grams of sugar. Translation: FuelGood doesn’t just hydrate, it satiates; it will hit your sweet tooth without making you suffer the sugar crash later. Made with all-natural and organic ingredients, it’s an excellent beverage option for those looking for gluten-free, non-GMO, and vegetarian options for bulking up. Taste bud-titillating flavors include Thin Mint Cacao, Toasted Cinnamon Vanilla, Espresso Caramel, and Matcha Cardamom. Drink to rev up, or recover from, a workout; to complement a meal; or as a snack to stave off regrettable, edible temptations. If you’ve never been into cottage cheese, blame your mom. 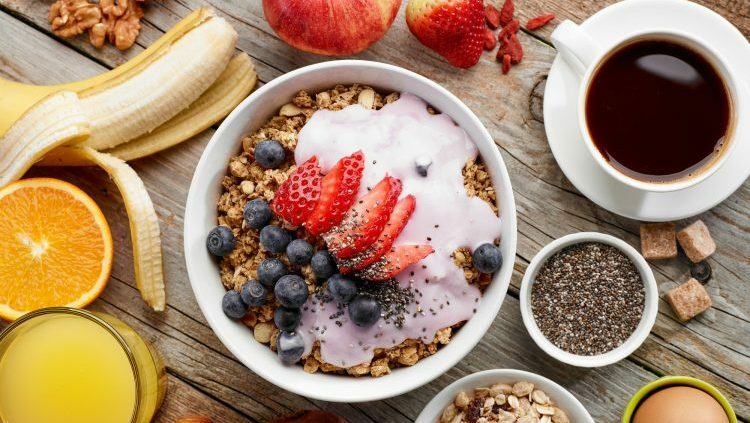 No, seriously: cottage cheese got a bad rap as a dull diet food in the ‘80s and has had a tough time competing with the popularity of its current protein-packed counterpart Greek yogurt. The one advantage cottage cheese has always had is that it can be eaten as a sweet or savory snack. Savory eaters have been known to top salads and burgers with it. Those with a sweet-tooth can combine it with fruit (canned fruit works especially good in this combo because of the syrup) and sprinkle it with a little cinnamon, and your tongue won’t even detect the salty notes. 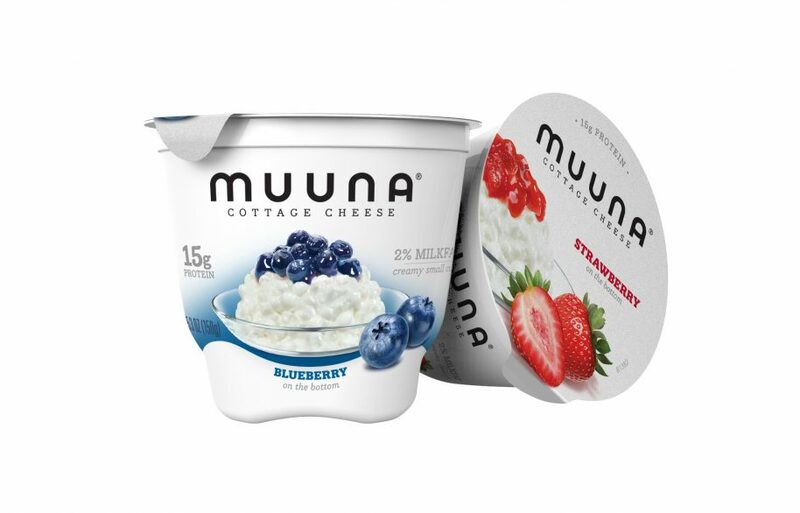 Muuna is hip to the virtues of cottage cheese, and the brand is making it easier—and more palatable—to get your protein fix with single-serve, fruit-on-the-bottom cups. Each 5.3 ounce serving of mango, pineapple, strawberry, peach, or blueberry-flavored cottage cheese packs 15 grams of protein, 130 calories, and under 12 grams of sugar; the low-fat plain variety is even healthier, with only 4 grams sugar, 120 calories, and a whopping 19 grams of protein. A gluten-free and certified Kosher food, Muuna cottage cheese contains no high fructose corn syrup, artificial flavors, colors or sweeteners. Sorry, Mom, modern cottage cheese is far superior to your weird concoctions. To completely contradict our previous suggestion, yogurt is still one of the most complete and convenient health foods on the market. It’s only fault, until recently, was that it came in primarily sweet flavors, leaving those of us who really don’t want a saccharine snack in the afternoon empty-handed. Plain Greek yogurt is almost tart enough to count as a savory food, but if you want to go all the way on the savory spectrum, try Blue Hill Yogurt, which makes the creamy dairy product in flavors like beet, butternut squash, sweet potato, carrot, tomato, and parsnip. 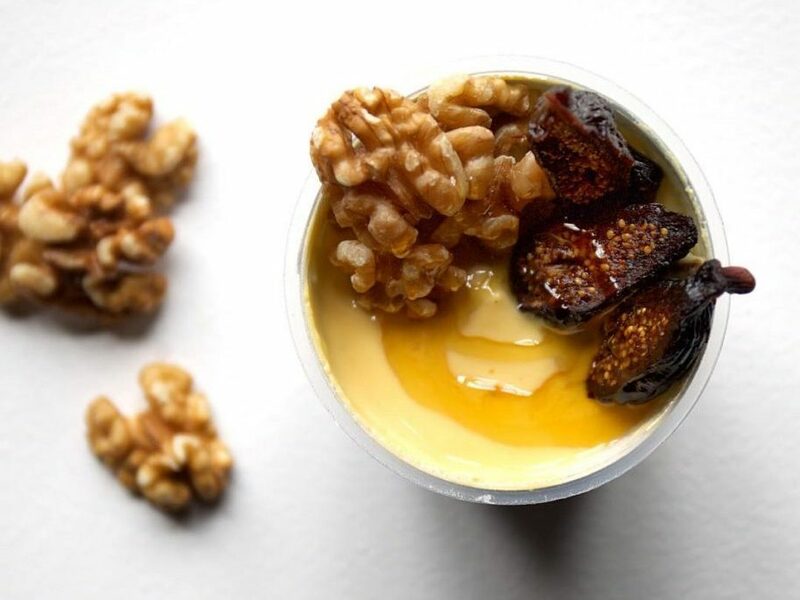 In addition to eating straight from the container with a spoon, savory yogurt can be incorporated into recipes for soup, salad, slaw, muffins, panna cotta, and cheesecakes. And to think that all this time you’ve been spitting out your watermelon seeds. Turns out that when sprouted, those little annoyances become a super food brimming with magnesium (helps regulate blood sugar), zinc (which strengthens the immune system, aids digestion, and reduces stress), and protein (10 grams per 1 ounce). 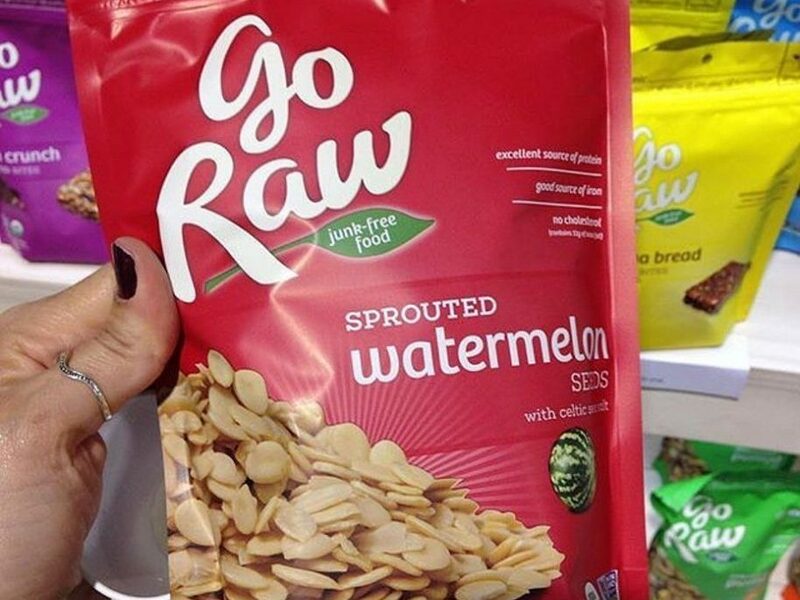 Go Raw, a “junk-food free” company, sells them by the bagful. (Make that eight bagfuls, if you’re ordering on their website.) They’re seasoned with Celtic sea salt, so sprinkle them on savory foods, like salads and soups, to add nutrition and texture.